Clenbuterol is often mistaken by the general public as an anabolic steroid, which it is not. This stems from the fact that often times when anabolic steroids or other performance enhancing drugs are spotlighted in the media, Clenbuterol is also occasionally or often discussed alongside them. This is because Clenbuterol is a commonly used fat burning agent among athletes, bodybuilders, and gym rats. It is in fact probably more widely used than anabolic steroids themselves, as the fat loss agent appeals to all genders and likely used more so by females than males. Specifically, Clenbuterol is a stimulant and is also known as a sympathomimetic, meaning that it acts to stimulate the sympathetic nervous system in the body in a variety of ways. There are many other compounds and drugs that belong in this category, including but not limited to: Caffeine, Ephedrine, Albuterol, and many related substances. Sympathomimetics are a very wide category of drugs and nearly all of them are related to each other in some way or form. Clenbuterol stimulates the nervous system through binding to and activating receptors specifically known as adrenoreceptors. These receptors are normally associated with adrenaline and noradrenaline (epinephrine and norepinephrine respectively), but other stimulants can also act upon these receptors as well, such as Caffeine, Ephedrine, and Clenbuterol. Although all stimulants act upon these receptors, many stimulants do this in different degrees of strength and in different manners. There are many different types of andrenoreceptors, not just one, and many substances will interact with various types of adrenoreceptors and have no interaction at all with others. For example, Clenbuterol is what is known as a beta agonist, meaning it will act on the beta adrenoreceptors, but this is only half of the story. The other half is that Clenbuterol more precisely acts on beta-2 receptors, and it is very important to understand that there are many different categories and subcategories of adrenoreceptors, which include alpha receptors and beta receptors. Even within this category of receptors, there exist subcategories, such as alpha-1, alpha 2, etc. receptors. The same thing is said for beta receptors: beta-1, beta-2, etc. receptors. In Clenbuterol’s case, it targets the beta-2 receptors in particular, although it does also contain some measure of activity on other receptor types. If one would compare Clenbuterol to Ephedrine, for example, it would be observed that Ephedrine targets multiple receptor types equally, while Clenbuterol targets one type of receptor (beta-2) more than the others (but not exclusively targeting beta-2 receptors, it is just more dominant towards beta-2 receptors). So, what does this mean for Clenbuterol’s effects and properties? Clenbuterol’s effects on beta-2 receptors exist in many different cells and tissues in the body, not just fat cells. In fact, Clenbuterol’s original use in medicine was for the treatment of asthma, and it still is in many countries. As an ingredient in asthma inhalers/puffers, Clenbuterol serves to act on the beta-2 receptors of the bronchial tubes and airways, and transmits a signal through binding to these receptors that causes the bronchodilation (the opening of the bronchial passages). This allows open air flow, and is especially important during asthma attacks when the patient is suffering from bronchial constriction. In fat cells, which is the tissue of concern when Clenbuterol is discussed, Clenbuterol activates the same beta-2 receptors on fat cells whereby it will initiate and trigger fat metabolism. It is important to remember that Clenbuterol interacts with beta-2 receptors in many different tissues and cells in the body, including but not limited to fat cells, and through this systemic action it can cause multiple effects (fat loss being one of them). Because Clenbuterol’s almost singular use in athletics and bodybuilding involves its effects on fat metabolism, Clenbuterol doses are very straightforward and there is not much leeway or variety in its dosing schemes, even between genders. The only difference between genders when Clenbuterol doses are concerned is the peak optimal target dose used, as the target peak doses of Clenbuterol normally need to be kept at a lower peak for females than for males. In general, however, Clenbuterol is rarely used for any other purpose in the performance enhancing drug world other than for the purpose of fat loss. Clenbuterol’s use outside of fat loss does exist, but is very limited to one or two certain specific applications. Clenbuterol’s effect of bronchial dilation is of a positive bonus for those engaging in cycles of Trenbolone who experience difficulty breathing. 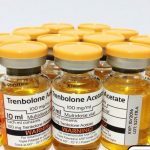 In such a case, Clenbuterol can offset Trenbolone’s effect on diminishing the user’s respiratory and cardiovascular ability. The other use that Clenbuterol holds among bodybuilders is its ability to stave off a small amount of fat gain during bulking phases of training where a caloric surplus is being consumed. However, this practice is generally very rare. It is very important to understand that Clenbuterol doses are dosed in mcg (micrograms) as opposed to the typical mg (milligram) dose that is commonly seen in the performance enhancing drug world. This difference must be made very clear due to the fact that mistakes in Clenbuterol doses can become fatal due to the stimulant nature of the drug. 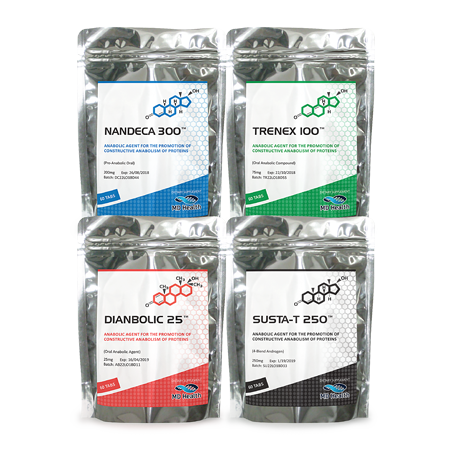 There are some forms of Clenbuterol that are in liquid format, and dosing Clenbuterol can be confusing for some at first, which is why the distinction must be made between micrograms and miligrams when users determine their preferred Clenbuterol doses. 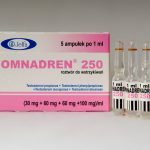 The actual dosing protocol of Clenbuterol will initially call for a slow increase in dose so as to allow the user to become used to the stimulant effects of the drug, which might not be very tolerable for some. 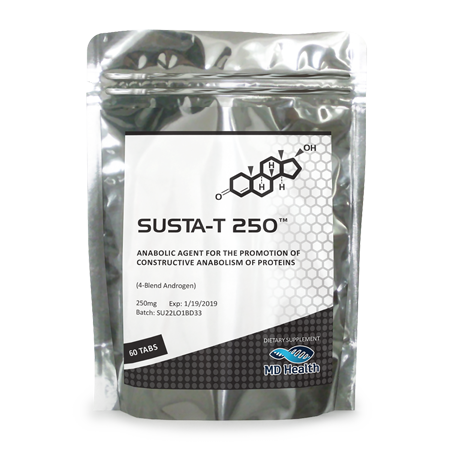 The majority of individuals might find the initial stimulant effects to be uncomforting, and will have to slowly adjust their Clenbuterol doses upwards. Other people might be able to tolerate stimulants very well and find no problems at all with standard (or even faster) increases of Clenbuterol doses. Medical prescription doses, if prescribed in an oral pill format, will typically be 20 – 40mcg per day. 20 – 40mcg daily of Clenbuterol is what an individual would typically start off at, and then adjust their Clenbuterol dose up by an additional 20mcg every other day. Remember that some users might find they need to adjust their dose upwards even slower, for example increasing it by 20mcg once every 3 days. It is entirely up to the user’s preference. Ultimately, a peak optimal dose of Clenbuterol of 120 – 160mcg per day should be desired, although some users might find a lower peak dose to be more suitable or comfortable for them. The important point to remember is that upon starting a Clenbuterol cycle, one should never automatically begin their Clenbuterol doses at that range. Much like the doses, Clenbuterol cycles are very basic and straightforward due to its nature as a fat loss agent. As previously noted, it is used almost exclusively during cutting cycles and cycles involving the loss of body fat rather than bulking cycles in which there is a significant caloric surplus. Some users might opt to perform Clenbuterol cycles that involve bulking up or a caloric surplus of some sort, but the purpose in doing so is to stave off a small amount of fat gain from the caloric surplus. The general goal is not to lose body fat at any appreciable rate. 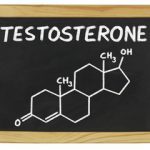 The minor amount of effectiveness stemming from this protocol is the reason why it is not a practice adopted by many individuals in the anabolic steroid using community. Clenbuterol cycles must either be conducted on a 2 weeks on / 2 weeks off basis, or a 4 weeks on / 4 weeks off basis due to the issue of beta-2 receptor downregulation. Beta-2 receptors will slowly down regulate during Clenbuterol cycles, necessitating either time off the drug, or the use of a compound that will up-regulate the beta-2 receptors, such as Ketotifen. The use of Ketotifen would allow a user to continually use Clenbuterol without any breaks and still maintain effective fat loss throughout. Ultimately, Clenbuterol for health reasons should not be used any longer than periods of 8 – 12 weeks at a time. Clenbuterol cycles can often also include the use of other compounds, such as anabolic steroids, and even other fat loss agents, such as T3 (thyroid hormone) and/or HGH (Human Growth Hormone) in order to maximize its fat loss effects. Clenbuterol cycles that involve anabolic steroids or any other compounds are usually compounds that are favorable for fat loss and cutting cycles, of which some examples will now be provided. Many of the listed Clenbuterol side effects can only be dealt with through slow ramp-up dosing of Clenbuterol, and waiting for the body to adjust to the stimulant effects. Muscle cramps can be effectively dealt with through supplementation of the amino acid Taurine. Clenbuterol is extremely popular on the market, and is very easily accessible and widely available. In many countries, including the United States and Canada, Clenbuterol is not a scheduled drug. This means that those wishing to buy Clenbuterol will be pleased to know that it is not illegal to use Clenbuterol. However, it is not openly available over the counter. Internet sources that place limitations on their buyers in the form of minimum order limits (normally a limitation of at least a $200 purchase), but with this limitation comes the benefit of lower overall cost per item. Internet sources that do not place limitations allow buyers to buy Clenbuterol in whatever smaller amounts desired, but at the expense of higher costs per amount. Research chemical companies are companies that market Clenbuterol and other related chemicals as research chemicals designed for research use only and are often some of the cheapest products. However, the bottom line with Clenbuterol is that it is so commonly available, and its raw materials for manufacture are so cheap and abundant that the prices of Clenbuterol are generally the same no matter the source type. 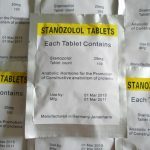 Pharmaceutical grade Clenbuterol is commonly sold in the range of $0.4 – $1 per tablet, while underground lab (UGL) grade Clenbuterol can be bought for $0.4 – $2 per tablet. UGL grade Clenbuterol can also be sold in varying tablet concentrations (20mcg tablets are the standard for pharmaceutical grade, while UGLs can and do often make their own customized concentrations of mcg/tablet). Those looking to buy Clenbuterol as research grade product will discover it dosed at concentrations of 200mcg/ ml contained in 30mg bottles in the price range of $40 – $80 per bottle depending on the company purchased from.